Peach is your classic corgi. She is as sweet as she is beautiful. She is the only docked Pembroke in our family. Daddy’s princess, Peach lives a spoiled life with us!! She is often referred to as "the couch potato" because she is the most unathletic Corgi we have ever seen! 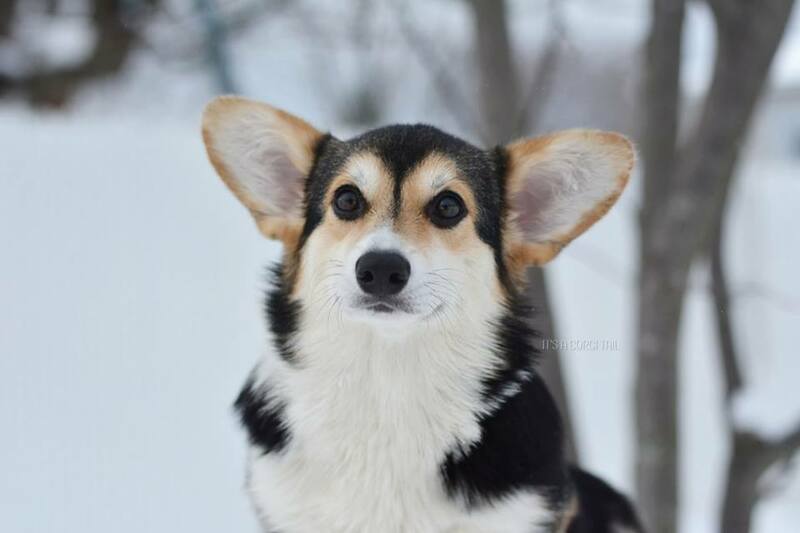 Papaye is one BEAUTIFUL Corgi with a coat to die for. She is as sweet as she is beautiful and LOVES to play with her Corgi sisters. She comes from a long line of herding/agility and International Champions and was imported from Russia. She has a pedigree full of amazing dogs and we are very excited to have her. We loved Olive from the first time we saw her picture posted online. She is a Champion sired red headed tricolor import from Belarus. She comes from some of the most beautiful corgi's I have ever seen. Her handsome sire being one of them. Olive is sweet, smart and has a lot of drive. She learns very fast . We will be forever grateful to Olive’s breeder for entrusting this stunning girl to our care. Kimchi is our first keeper puppy since we started back in 2015. From our spring litter out of Peach X Falco. She has a very loyal temperament and is as sweet as she looks. We are THRILLED with how this young girl is maturing! We will share more informations about our Gemini girl soon!